Britannia visitor and sketch artist, Jorge Royan, sent us a copy of a sketch he made this summer. 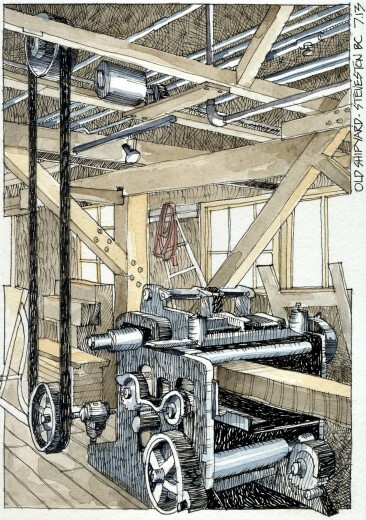 His drawing depicts the old planer located in the Shipyard Building. The details of the line shaft system and flat belt drive details are clearly visible. Gracias, Jorge.